GRAHAM - Elmer Walton Allen, 72, of Graham, died Sunday, May 12, 2013 at 11:20PM at his home. Mr. Allen was born March 20, 1941 in Muhlenberg County. 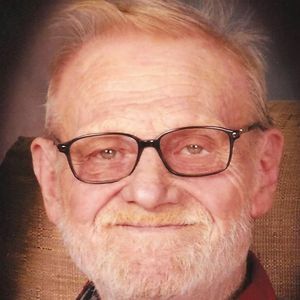 He was a machinist with International Harvester - Navistar Inc., and was of the Baptist faith. He was a U.S. Army veteran. He was preceded in death by his parents, Adrian and Deppie Allen; brothers Raymond Allen and Leon Allen; and sisters Violet Everetts, Beatrice Fulton, Nora Dee Richards, Lula Landrum, Patricia Newton, and Velma Deering. Survivors include his wife of 52 years, Retha M. Rager Allen; son Timothy D. Allen (Teresa Porter) of Gainsville, FL; daughter Deborah J. (George) Papadakis of Bensenville, IL; granddaughter, adopted as a daughter, Desiree D. (Glenn) Goodvin of Northlake, IL; granddaughter adopted as a daughter, Naomi L. Allen (Scott McLevaine) of Livermore; great-granddaughter, adopted as a daughter, Jena M. Allen of Graham; grandchildren Valarie A. (Robert) Athan of Michigan and Adrian Allen of Illinois; great-grandchildren Kane Allen, Chloe and Elijah Goodvin, and Kylee and Raine Athan; brother Dallas (Debbie) Allen of Lemont, IL; sister-in-laws Teresa Allen of Nelson Creek and Dorothy (Jr.) Shanks of Central City; brother-in-law Gerald Newton of Nelson Creek; and several nephews and nieces. Funeral services will be Thursday, May 16, 2013 at 2:00PM at Tucker Funeral Home in Central City, with Rev. Donald Duncan officiating. Burial in Cherry Hill Cemetery. Visitation will be Wednesday after 5:00PM at the funeral home. Online condolences may be made at www.tuckerfuneralhomes.com. Aunt Retha, Tim and Debbie, I was so sad to hear of Uncle Elmer's passing. I know firsthand how hard it is to watch someone you love suffer through an illness, knowing it will eventually end in their passing. We are never prepared for that time. Take comfort in knowing he is at rest and his suffering is over. You will always have him where he always existed, within your hearts.